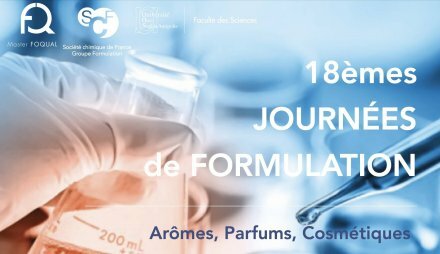 Odournet sponsors the 18th day of the formulation dedicated to aromas, perfumes and cosmetics, which will be held at the Nice Sophia Antipolis University Faculty of Sciences, Théâtre du Grand Château, on 4 and 5 December 2017. Charlotte Tournier, Head of the Products & Materials department, will present during a flash oral the results of a study on “Chemical and sensory analysis of a silicone emulsion”. To find out more come and join the event!